Mix all the ingredients together. Put it into a metallic tiffin box and close the lid of the tiffin box. Boil water in a boiler and place the tiffin box into the boiling water. Close the lid of the boiler and cook it in low flame for 15 min. 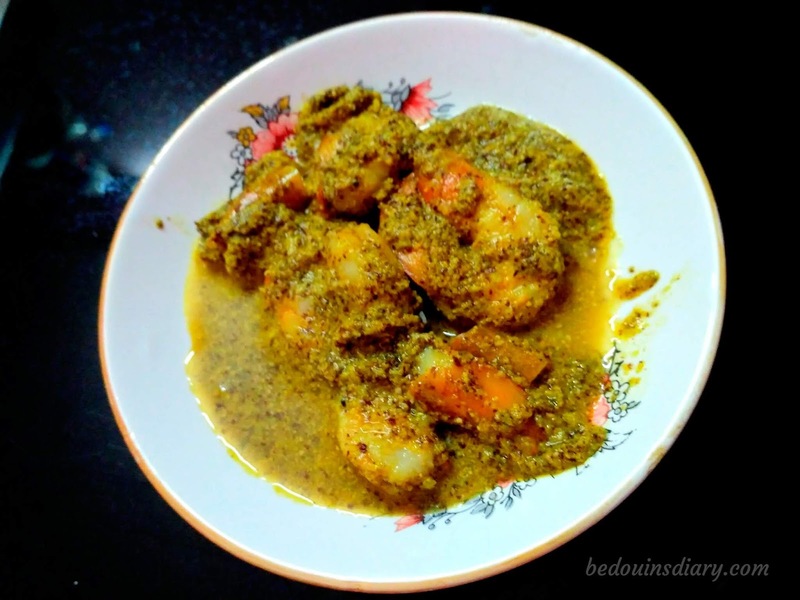 Serve Bhapa Chingri hot with rice or pulao.